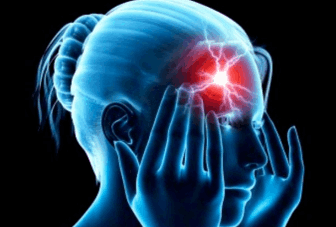 A concussion is a type of traumatic brain injury—or TBI—caused by a bump, blow, or jolt to the head or by a hit to the body that causes the head and brain to move rapidly back and forth. Some concussions cause you to lose consciousness, but most do not. It's possible to have a concussion and not realize it. 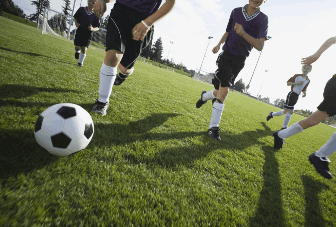 Concussions are particularly common if you play a contact sport, such as football or soccer. According to the CDC, between 2001 and 2009, an estimated 173,285 people under age 19 were treated in hospital emergency rooms for concussions related to sports and recreation activities. The signs and symptoms of a concussion can be subtle and may not show up immediately. Symptoms can last for days, weeks or even longer. Symptoms of a concussion may include headache or a feeling of pressure in the head, loss of consciousness, confusion, amnesia and dizziness. Other symptoms may include nausea & vomiting, slurred speech, delayed response to questions, appearing dazed as well as fatigu. Always seek medical attention immediately if you suspect a concussion. "The purpose of Concussion Mom is to educate and raise awareness about concussions. Concussion Mom began as a way to coach and educate concussion survivors and their caregivers, and now provides education and awareness to a broader audience." Although concussions differ greatly from person-to-person in terms of symptoms, severity and length of recovery, it is important to take each and every one seriously. Just as no two people are alike, neither are any two concussions alike. Concussions, also referred to as Traumatic Brain Injury, or TBI, are not just a sports-related injury; they can happen to anyone, anywhere, anytime. 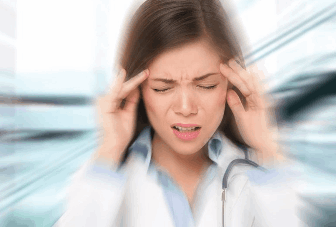 It is vital to recognize the symptoms and seek treatment immediately if you suspect a concussion, and adhere to the treatment program provided by your doctor. Concussion Mom greatly values sports and all they can do for the participants; teamwork, exercise and values are just a small part of how sports can impact the life of the players. Be mindful and play safely. Important Disclaimer: Concussion Mom is an internet tool used to aid in the education and awareness of concussions, and to provide general information about concussions and concussion education and management. Concussion Mom is not medically based and does not provide medical advice. Concussion Mom should not be used in the diagnosis or management of concussion. Always seek medical attention immediately if you suspect a concussion. Concussion Mom does not discourage participation in sports, but does encourage safety in sports participation.